Selling a business can be tricky, well, business. If you find yourself in limbo – unsure of whether it’s time to find another owner or simply close up shop, we’ve got Drew Sanocki on the case. After selling a business he built from the ground up, Drew now helps others buy and sell businesses. But before you think about selling your business, we’ll take you from determining if putting your business up for sale is even viable. You’ll get practical advice from Drew and Andrew’s past business sales along with tips to facilitate your own successful (and profitable) exit from your business. When to know if it’s the best time to think about selling your business. The two types of buyers out there – and how to find them. Why paying attention to macro trends is crucial. 6 reasons to consider selling and 4 reasons not to. Today on the show, we’re going to be talking about what to be thinking about when you’re considering selling a business. How to prepare for that, if you should be selling, bad reasons to sell a business. I’m going to be talking about all those different issues. And joining me from his sabbatical. Had some terrible excuse, like he had a new daughter or something, Mr. Drew Sanocki. Drew, welcome man. Drew: Hey, good to be here. Andrew: Good to have you back. Drew: Good to be here. Andrew: Obviously the sleep fatigue is setting in as you can tell. Drew: Tired. Yeah, yeah, right. Andrew: So, we’re going to be getting into the nuts and bolts of selling businesses, but of course, first have to do a for sales shout out. And this is going out to Jenny Krengel from Camonnow.com where they sell army surplus, tactical, and police gear as well as serve the paintball in the Airsoft community. So, got all sorts of stuff going on. And didn’t get all the details but I think they work with our friends, Charlie and Eric over at VideoReviewLabs.com and they just had their first sale. So Jenny, congratulations, that’s awesome and you’ve got a good video crew there that you’re working with. So, that being said let’s go ahead, without further ado, dive into today’s discussion on selling a business. So I want to talk about ten things to consider today when you’re thinking about selling your business. And real quickly, I want to give you some background on our experience with it. Drew let’s dive in. Can you share just real briefly what your background is in terms of business acquisitions and/or sales? Drew: Sure. Like many people listening, I started a drop ship retailer a while back, in 2003. And about eight or nine years in I sold my business and it’s a great experience for me. It’s the first business I ever sold. Since then, I’ve been more involved in buying and selling businesses on the private equity side. I consult for about three different private equity funds that are involved in buying ecommerce businesses, so buying them and growing them, and optimizing them. Andrew: And on my side, I’ve only had one business sale as well, but it was about back a year ago. And some of you will probably remember I sold TrollingMotors.net. And so that’s the experience that I’ve had. And then prior to that, here in the financial world, worked in investment banking and had a chance to see behind-the-scenes for some much larger business acquisitions and sales as well. Andrew: So the number one point I want to start with is, if you’re thinking about selling a business you really want to sell before you need to. If you get to the point where you absolutely have to sell it’s probably not going to work out the best for you. You want to sell when revenues and profits are on the upswing. You want to sell when the market is good. And yet it gets so much harder and more expensive, in terms of the loss of value you have, to sell a business that’s stalling or declining, and so it’s always something you want to be thinking about. Even if you’re in a position now where you wouldn’t necessarily take an offer today, you want to be thinking about that, because you need to be thinking about that six months or twelve months out if you don’t want to take a huge cut on the business. Drew: Irony is that’s the last time you actually step back and think about selling a business, is when things are going so well. For us, our best year was 2006 or 2007, right before the downturn. And, at that point we were making so much every year, off of just our cash flow and growth that you look at the multiples for an ecommerce business and you say, “Why would I sell this? I’m going to make this much next year in profit.” And of course, like the next year when revenue gets cut in half and you basically have to reboot the business, you wish you had sold the year prior. Andrew: Yeah, it’s tough and of course, like anything, you’re making judgment calls and trying to read the future. But it’s always thinking through the implications to a multiple too, because if you have a business that’s on the upswing and growing, you’re probably going to see a multiple in the two and a half to three x ranges is much more likely. But if you have a business that is declining or has a couple years of declines, even one to two years, what do you think Drew? The multiple of definitely sub-two, maybe even one and a half closer to one? Drew: Yeah, yeah. You say a growing ecommerce business gets two to three, which is accurate. Four I would say is an ecommerce business maybe under five million bucks in revenue. But that’s still low, that super low compared to SAS or content companies or things like that. SAS, you see multiples of like eight times. Andrew: Really, they’re that high? Drew: Well, at least now they are. Everybody wants SAS these days. Andrew: And the huge bubble that we’re in according to Mark Cuban? Andrew: It’s always funny. Maybe we should record these pre-call discussions. We were just talking before we hopped on about how so many traditional investments today at stocks, bonds, other things. We’re just looking at it and nothing’s looking appealing. That’s going to be a different discussion. Maybe we’ll save the bubble discussion for a different podcast. Drew: Yeah, but I think, on the multiples issue or question, I think that there’s a really good book out there by John Warrillow called, Built to Sell. I think you pronounce his name, “Warrillow”. I read it when I was selling my business and I recommend it to anybody who is thinking of selling a business. He divides buyers into two categories, financial buyers and strategic buyers. The financial buyers are the ones that will just look at your cash flow or look at your EBITDA, slap a multiple on it and say, “Okay. I’m going to buy this business. This is how much it’s going to cost me to run. This is the kind of return I’m going to get.” They look at it like it’s another stock on the stock market or bond. The strategic buyers, are the ones that, ideally you want to find them. Those are the ones who may see something in your business that they don’t have and that they have been wanting to build themselves or acquire. And that’s when that two to three multiple, that’s when those multiples go out the window and you can find somebody who will pay a ten times multiple if you’re lucky. So the goal is: are there strategic buyers that would be interested in buying your business for which you can get a much higher multiple? Andrew: Yeah. So someone if you have an ecommerce, if you can find a supplier maybe who wants to get into the retailer side of things or a natural plug in there. Because a lot of times, even if the market will only support a two to three x for financial, if they have to look, “Oh heck, it’s going to cost four to five x to build this out on our own,” and/or there’s huge cost savings there that’s going to make more sense for them, it might up their price. Drew: Yeah. So that’s a reason why, 1B or 1A in our list of ten reasons to sell or not to sell. If you see these bigger strategic players in your market becoming acquisitory, where they’re gobbling up little players, that might also be a reason to sell. There might be a window now which has nothing to do with how you feel internally/emotionally about selling your business or how you’re doing, but just the fact that, hey, your biggest competitor got gobbled up by another big player, that means you could go present yourself to one of the remaining big players in your market and try to sell. Andrew: Yeah. And continuing to go off our outline here, this is good because it’s something that I thought too. Just what you touched on. I heard a talk of somebody saying they sold a business. Maybe it was . . . I can’t remember who it was, maybe it was one of the Dynamite Circle events. But, the person who was talking mentioned when you get an offer to sell your business don’t assume that offer is going to come back again in the future, because a lot of things have to line up for an offer to come in or for you to be able to sell a business. You got to have good market conditions, you got to have financials that are on the upswing if you want to get a decent deal for it. There’s all these things that can shift. Going back to sell before you need to, even if you’re not ready to sell that day you need to be thinking through what are the chances you want to sell in the future and the possibility of you having the opportunity to do that I think is really important. Andrew: Number two: sell when you’re not comfortable with any major risk factors. There’s a reason why sub-$5 million ecommerce companies sell for two to three times earnings. Versus earnings . . .
Drew: This is like a publicly traded company. Drew: Right. Where it’s 20 times or 25 times the P/E ratio. Drew: Well, yeah, a major downturn definitely educates you about risk. And I think in ’06 and ’07 when we were doubling every year and life was good I did not conceive of the possible risks. I just kind of figured we’d grow forever at that pace. And now, looking back, I just see the risk in all businesses. I think a lot more clearly having lived through it, a situation where my revenue got cut in half. I think that risk is there and most business owners probably underestimate it. And just think big picture. You probably come out ahead if you can iterate quicker. There’re probably more entrepreneurs that would agree with me that if they had sold early and often they might have done financially better than if they held on to their businesses. Andrew: Yeah. And looking at internal factors too. If you’re really heavily dependent on one main traffic source or one main supplier, or something like that, those are the things where, again, maybe it will be great for the next four or five years or maybe Google wipes you out. Maybe a supplier decides they want to stop supplying with product. So those are the things that are important to think through, too. Andrew: Number three: sell when two plus two equals three. And this touches on a podcast that Bill and I talked about running multiple businesses. But, if you’ve got a business and it’s just sucking your attention from something that’s more important to you or something that’s more lucrative, has more potential, it’s a great time to sell. And Drew, you were running Design Public as your primary gig, so this probably wasn’t as much of an issue for you, right? Drew: Right, right. But I get it. There’s always an opportunity cost is probably what you should be thinking. And at some point, the opportunity cost becomes too big. And for me, I looked in the mirror after running something for nine years, I began to think, “Well, I don’t know if this is the business that’s going to be my $100 million business. So, I’ve already sunk ten years into it.” I just started to think in terms of maybe the opportunity cost is a little bit higher now. There are other opportunities I want to go after in my life. So I think in my case, like I did the opportunity cost did weigh in the back of my mind. Andrew: Yeah, it’s a big deal. I mean the shiny object syndrome, but also thinking through, sometimes the business model that you get in on after years and years, it can work great but you feel like you’ve got the ability to do something in a bigger scale or on a different level. And sometimes a business just can’t grow beyond a certain level no matter how much time you work on it. Either based on the size of the market or the business model itself. Andrew: Number four: Sell when you see difficulty maintaining a competitive advantage. So things like, how is your ability to create and build a distinguished brand and a unique reputation in the marketplace? Do you have a proprietary product? If you can’t look down the road and see it really being able to create that mortar around your business in the coming years might be a good time to consider selling. Drew: I can’t comment on this because the people who bought my business might be listening. But, I agree with this one. It’s not like I saw writing on the wall in my case, but there’s certainly macro trends, a big one being the rise of Amazon. That the rise of a major player that’s coming into your space that impact your idea of how possible it is to double this company going forward. So yeah, when you see those macro trends and you don’t think that they’re favorable, you might want to consider selling. I should add the disclaimer that there’re just as many macro trends that may represent opportunities. Andrew: For a frank, non-censored interview with Drew Sanocki please go into the private forums and we’ll have one of those in the next week. Drew: I’ll see you in the forums. Andrew: Number five: Sell when you’ve emotionally lost your commitment to the business. And this is one of those one’s, Drew, where a lot of times, maybe you’re looking at a prospectus, you’re looking at a business, and it’s one of those reasons that I feel like always people list, like, “I’m not into it anymore.” And for a while, I was like, “What a lame excuse. Who isn’t into a business that’s just spewing out cash and they want to sell it for a two and a half multiple? That seems lame.” But I feel like I’ve come to empathize with the position a little bit more, especially after selling Trolling Motors. It was just something I didn’t have a fire for it anymore. And I felt like I either need to sell it and have someone else run with it or it was going to decay over time if I didn’t get someone – either myself or someone else with emotional buy-in. So what do you think? Is that a legit a reason? Or do you think it’s one that people use to hide other motives? Drew: No, I think it’s a legit reason. I know I certainly had lost that commitment, I think my business partner had too. And you just kind of realize it when you’re going into the office in the morning your heart’s not in it and life is short, why not focus on something that gets you excited? Andrew: Number six: You want or need to change your lifestyle. And this, this one I think has a lot of merit to it. If you’ve got a business and you’re running a warehouse and you’re tired of managing people, and your packers, a packer every week for the last or heck man, your sales manager, anyone for the last week is not showing up and playing hooky, you’re just sick of the infrastructure, the overhead of selling a business. Man! Sell it. Drew, you and I have talked about some of the downsides of drop shipping but I’ll tell you what, this sure is a nice model for lifestyle business, even though it’s got some downsides in other areas. Drew: Yeah, it was. I didn’t have to deal with that warehouse, but there was still the managing people, there’s the stress that you have just when you go to bed at night if you’re still stressed about your competition. You may want to opt out like I did for something on the opposite end of the spectrum and just having no employees for a while. Andrew: Yeah and Seth Godin I think talked about this. He, at least, I don’t know if this is the case still today, but I remember at least maybe a year or something, he of course he built up Squidoo and other businesses and managed a bunch of people, and now, or again, at least a year ago, by design I don’t think he had any employees. I think it was just him writing on his blog and doing some other things, that intentionally pairing down the overhead commitments that he had. And could he make more money if he brought in a huge team? Yeah, well, I don’t know, he does pretty well, maybe he could’ve. But, he intentionally narrowed his focus and narrowed the number of responsibilities he had because he enjoyed it a lot more. All right. So those are top six. I want to transition into reasons not to sell a business. Andrew: So number seven: Don’t sell a business if you’re struggling to get traction and you want to start something different. And this is a nuanced point, because this could be a fair judgment. You really could have a business model that is just, it’s not a good model. There’s not a good underlying foundation there to build up a profitable business. But you have to be careful because the grass isn’t always greener on the other side. You want to make sure it’s a problem with the business model and not with your effort or your time frame. I remember with Right Channel Radios, like the first six months, about five or six months into it I was like, “Ah man, this is really slow going. This is so hard to do all this marketing work and SEO. And, ‘oh, maybe I’ll start another business and I’ll double my chances of success by getting that other one going. '” And thank goodness I didn’t do that, because the problem wasn’t with the model as much as it was with, man, starting a business is just tough. Drew: Yeah, it’s really tough and requires a lot of focus for a long period of time. And in many ways it’s the flip side of a reason we discussed earlier, where you might want to change your lifestyle because it’s hard. That’s a reason to sell, but if it’s also so hard and you haven’t found success, that’s not a reason to sell. So if we’ve confused you I don’t know the answer there. At some point you make the call whether you think it’s worth selling or not. Maybe it has to do with, in the early days if you haven’t seen success, stick with it. I don’t know. I kind of want to take this part and Andrew’s going on and on with this. Andrew: No, no, no, no. I hear what you’re saying. It is. Maybe we did have back-to-back things. And in terms of you want or need to change your lifestyle, that point number six. I think that was more of, like you mentioned, if you’ve had success and it’s a profitable business but you’re just not enjoying running it anymore. Or, the business that has been successful is putting constraints on the way that you want to live. As you know if you listen, this is not the, “Building a business is super easy. Buy our eBook and you’ll be rich in 20 days,” kind of thing. It’s tough man. You got to sacrifice a lot for it. I’ve never met an entrepreneur who’s got a successful business that hasn’t really, really put a lot of skin on the game in years. But that’s very different than the previous one. So I hear what you’re saying, Drew. Andrew: Number eight: Another reason not to sell a business, if you’re losing money. Sometimes you’ll see people who they’ve got a business that’s just bleeding or hemorrhaging cash. But, either based on the potential they see for it or the fact they’ve sunk a ton of money into it. Whatever the reason, instead of trying to just shut it down and stop the blood flowing they’re trying to fix it or sell it. And there may be a few rare exceptions. Like if you’re losing money and you’re a major brand with a ton of brand equity and recognition, or you have a lot of traffic, but you just can’t monetize that, okay, well maybe it’s worth talking to somebody about selling. But in most cases, especially for smaller businesses that we talk about, just shut it down. Stop the bleeding. What do you think Drew? Drew: Yeah, there’s this expression, “Don’t catch falling daggers.” And when your business is hemorrhaging cash like mine was in 2007, nobody’s going to catch that falling dagger. You’re certainly not going to get any sort of premium for it. You might be able to sell off the assets or something, but if you see a path to turning that business around, by all means do it. You are going to fetch a much higher valuation if you do. Andrew: Yeah, well, this is interesting because it could almost be a counterpoint to what I just said to you in 2007. Were you guys in decline or were you actually losing money in ’07? Because if you were actually losing money in ’07 you obviously came through, built it back up and had a very profitable exit on that. But were you losing money and what made you decide to stick with it? Drew: Well, we didn’t lose money because we laid-off some people and we cut our costs. So if we hadn’t done that we would’ve been losing money. But traffic, revenue, everything sort of everything got cut in half. Traffic, because we did a horrendous Magento migration in the middle of it. Drew: And sort of fell out of the search engines for a period of months. So I don’t think we were ever technically losing money. My partner and I weren’t taking much out of the business at that point, but we knew we couldn’t sell that. Nobody would buy that business, so we’d have to just prove out the model a little bit and grow it for a couple years. We figured if we could show three years of growth from that point forward then we could sell the business. Andrew: Yeah, yeah. Number nine, another reason not to sell a business: If you need money fast. If you need money fast you could sell a business and get cash quickly, but man you are going to take an enormous haircut on the price of the business. If you’re looking at it like an ATM, you need to move quickly. So if at all possible, really try other options. I’m really anti-debt, but man, if faced between taking a 40% haircut on the value of your business versus taking a 5-10% loan out for six months if you need something. I don’t know, even the anti-debt Dave Ramsey part of me says man, maybe consider that loan if that’s where you’re looking at. Drew: Yup, not a reason to sell. Andrew: And then finally, number ten, don’t sell your business, or at least, definitely think twice about it if you haven’t been planning for it. And this goes back into the mindset also of, you should always be running your business as if you’re going to sell – alluding back to the book that you were talking about, Drew. If you’re planning on selling you can get a much higher value if you make certain different decisions. For example, I’m being vague here but, if you know you’re going to sell in a year you probably don’t want to invest crazy amounts of money into long-term branding or long-term infrastructure things that are going to take a huge hit in the short-term, but are going to help you in the three to five year range, because you’re just going to lose all of that net value off of your net income, which is applied a multiple too, and you’re not going to see the benefits. And you got to be careful here. You don’t want to gut the business. You don’t want to do anything that’s unethical or is going to leave a buyer with a business that isn’t on a good foundation, but limiting your short-term expenditures, as long as you’re doing it honestly, can really increase the income in the sell price you get. Drew: I don’t know. Yeah, well, we were definitely planning on it. We were planning for years and that took the form of just really proactive drafting operating procedures for everything we did. Writing it all up in a wiki. We really wanted to make the business turnkey so that we could hand it off to a new buyer, because that would be the number one question any buyer would ask, is, “What’s it going to take to run this business?” and we wanted our answer to be, “Not much. Here’s the playbook and here how it’s done.” So we did a lot of preparation there. But I guess on the accounting side of things in terms of reigning in expenses to show more profitability, I don’t think we did a whole lot. There weren’t really any major investments in the drop ship retail world, right? Maybe if we had been considering developing our own product and holding it in our own warehouse we would have held off on something like that but really, for the most part, it was business as usual. We wanted to sell this drop ship retail cash machine and so we tried to stick to that. Andrew: So that’s it. 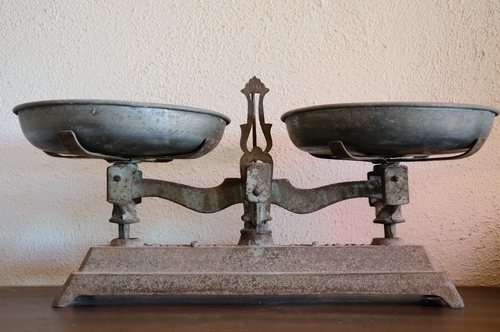 Ten reasons to either consider selling or not selling a business. Drew, hopefully in the next five, ten years we’ll have a couple more of these to be able to talk about. We’ll have to come back and do another one and talk about how, who knows, maybe two of the three of these we totally botched and we’ll be able to revisit them in the future. Drew, as always man, it’s been a pleasure. Thanks so much. Andrew: That’s going to do it for this week. But if you’re interested in launching your own ecommerce store, download my free 55-page eBook on niche selection and getting started. And if you’re a bit more experienced, look into the eCommerceFuel private forum. It’s a vetted community for storeowners with at least 4,000 in monthly sales, or industry professionals with at least a year or more experience in the ecommerce space. 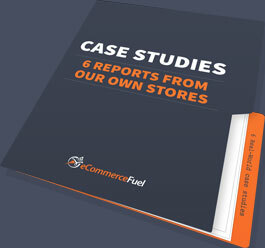 You can learn more about the eBook and the forum at eCommerceFuel.com. Thanks so much for listening and I’m looking forward to seeing you again next Friday.